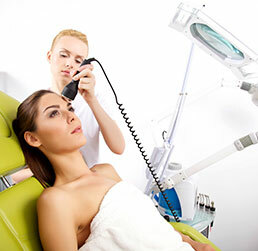 Skin Care by Dolores specializes in anti-aging and body treatments that will help you look and feel young. Dolores, the proprietor, is a Master Esthetician Manager, licensed in the Commonwealth of Virginia, and also has a medical background. She has been serving the Washington DC metro area for over 20 years. Dolores uses only the highest quality products from the most prestigious suppliers of skin care products including: Sothys, Physiodermie and Renee Guinot. Dolores is located in Reston, VA and specializes in providing personalized treatments tailored just for you. If you are unsure of what you need most, Dolores will provide you with a free consultation with no obligation. We provide a wide range of services and specialize in unique, personalized treatments customized to your specific needs and desires. We specialize in custom treatments to reduce cellulite and enhance body contouring to improve your appearance. Our specialized equipment includes state-of-art Lumincell Wave 4 and ShearWave. We also do body wraps and lymphatic drainage massages. Our facials combine traditional treatments with radio frequency, microdermabrasion, microcurrent, and light therapy to help keep your skin young and radiant. 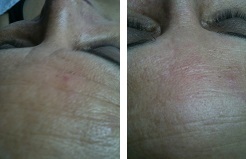 We specialize in organic facials and non-chemical herbal peels custom prepared for you. Our comprehensive waxing treatments use a natural, antibacterial, antimicrobial, anhydrous botanical product. It contains no wax, no sugar and no honey, and is virtually painless. We combine our waxing treatment with finipil to prevent and reduce ingrown hairs. Come to relax and experience an amazing massage. Lay down and feel your stress and aches melt away. You wake up with makeup! Our permanent makeup will rejuvenate your eyes, lift your eyebrows without surgery, and enhance your lips. We use only the latest digital equipment, which allows us to apply a hair-by-hair tri-dimensional European technique for a stunning realistic effect. We can perform specialized treatments, such as areola restoration, scar camouflage, skin re-pigmentation, and other procedures. We use only organic pigments. We also do regular makeup for weddings and other special events, as well as eyelash and eyebrow tinting. Watch these videos to see what Dolores can do for you. © SkinCareByDolores. All rights reserved.